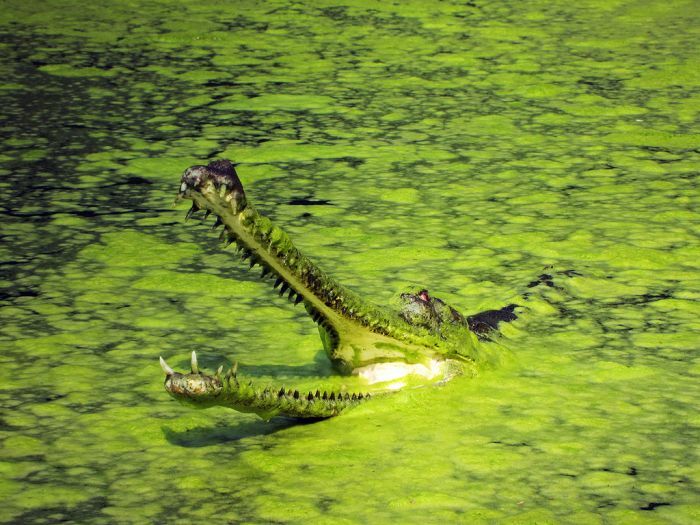 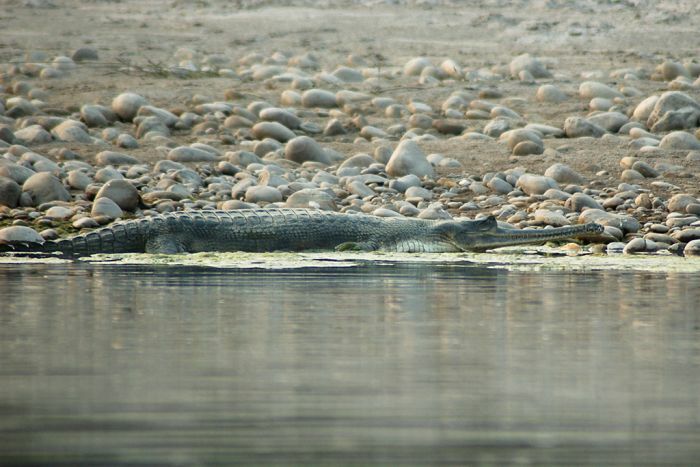 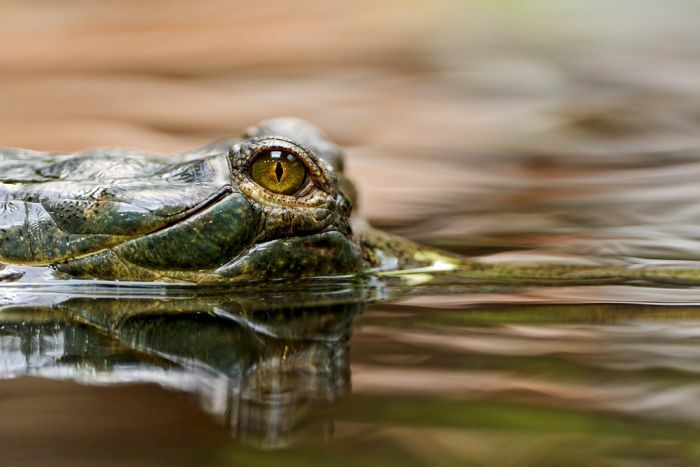 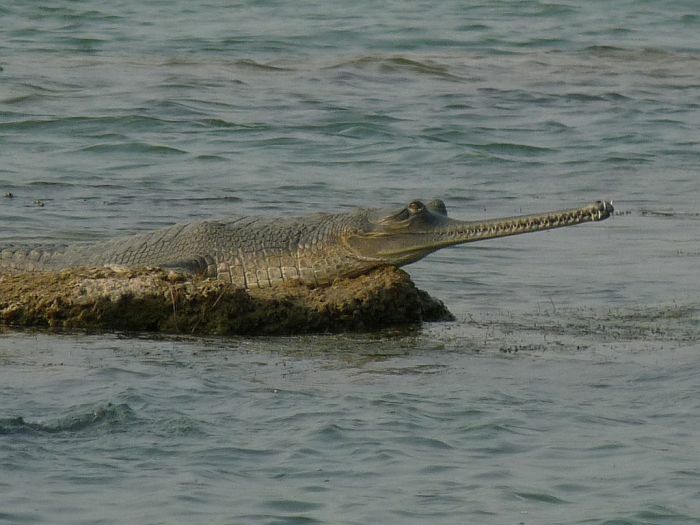 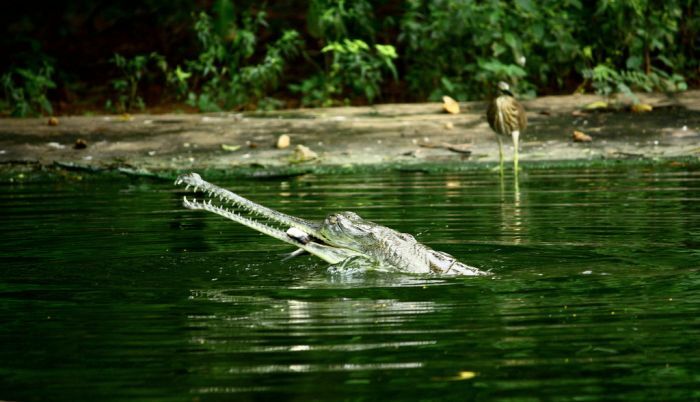 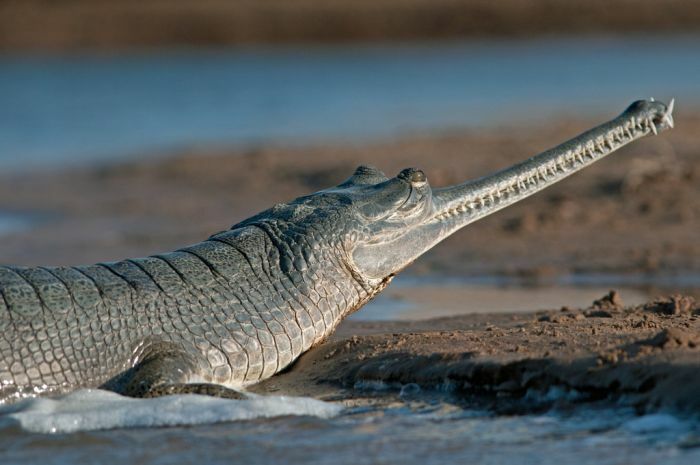 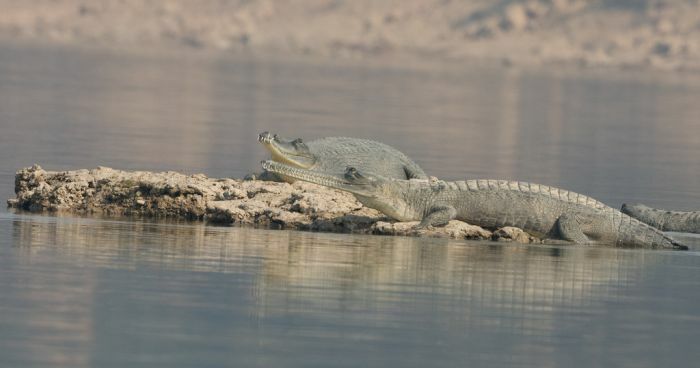 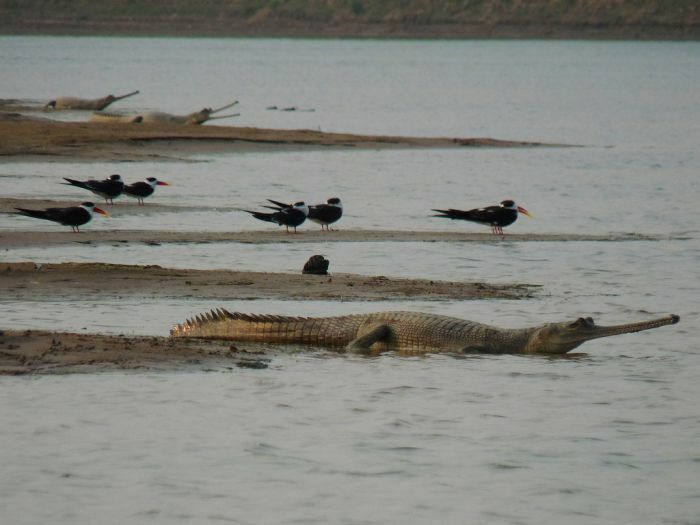 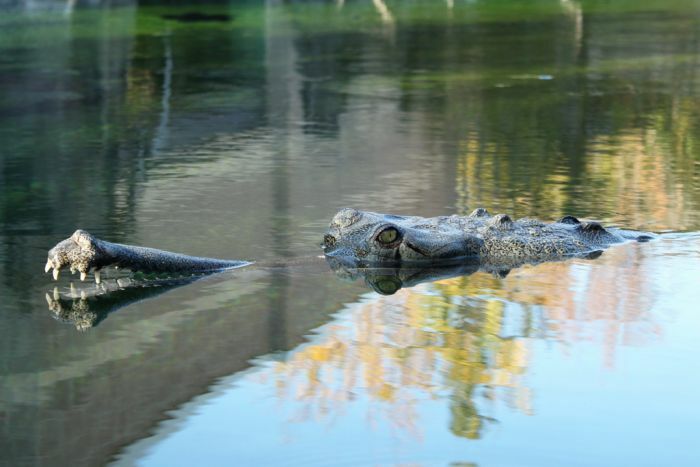 The gharial (Gavialis gangeticus) is a crocodilian of the family Gavialidae that is native to the Indian subcontinent and also called gavial and fish-eating crocodile. 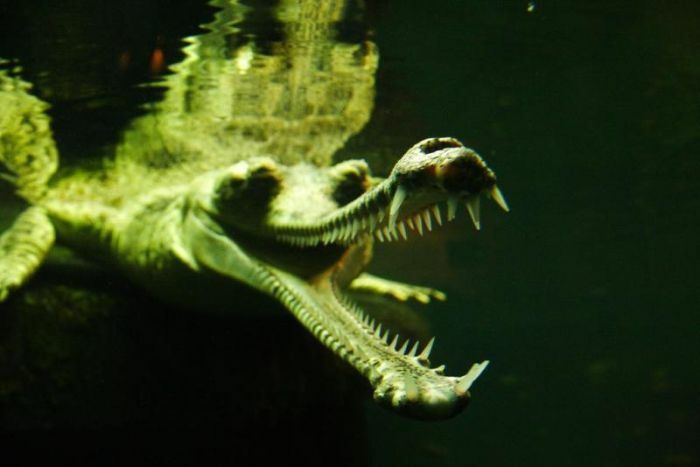 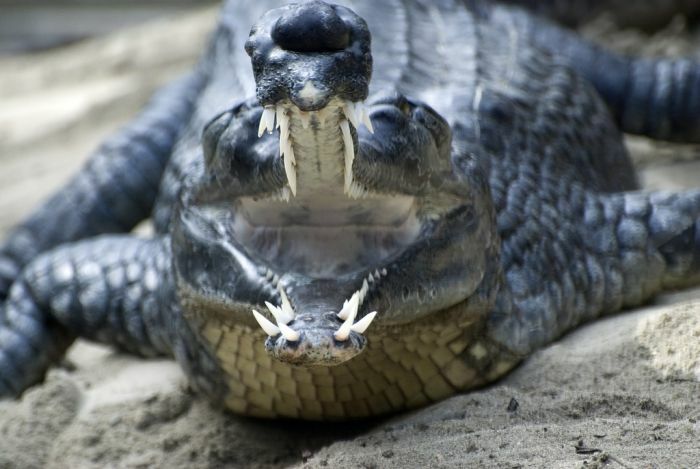 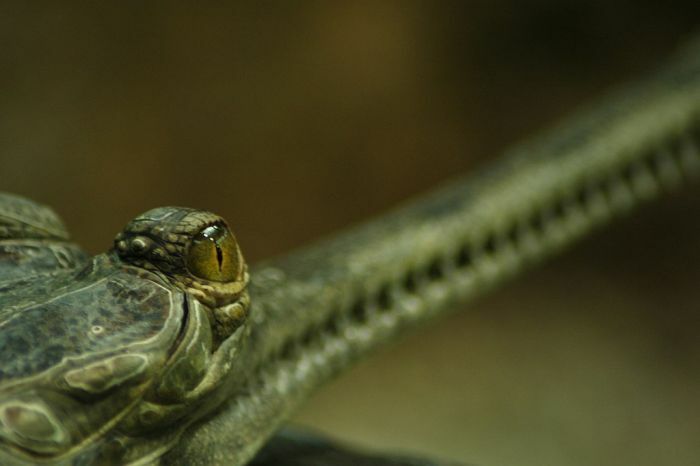 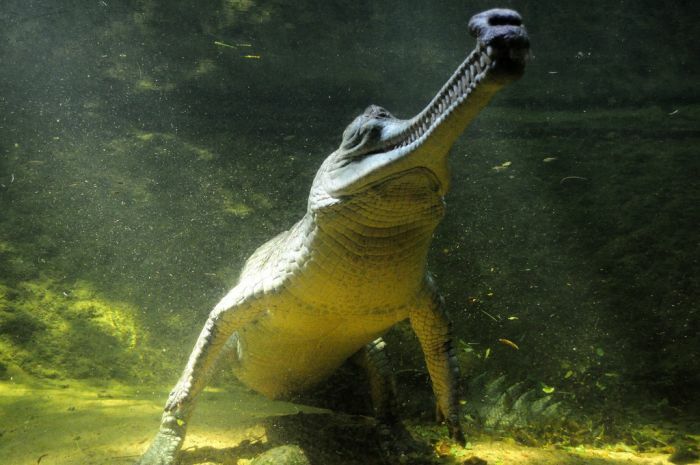 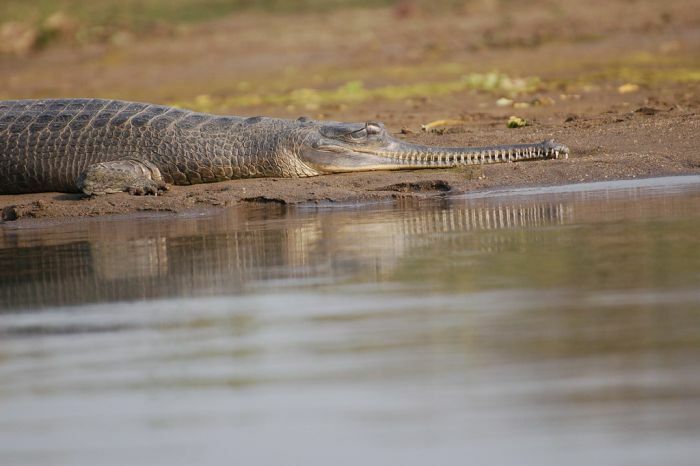 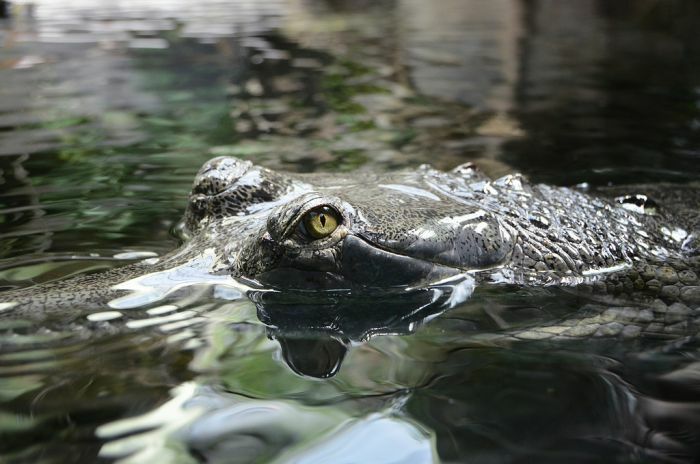 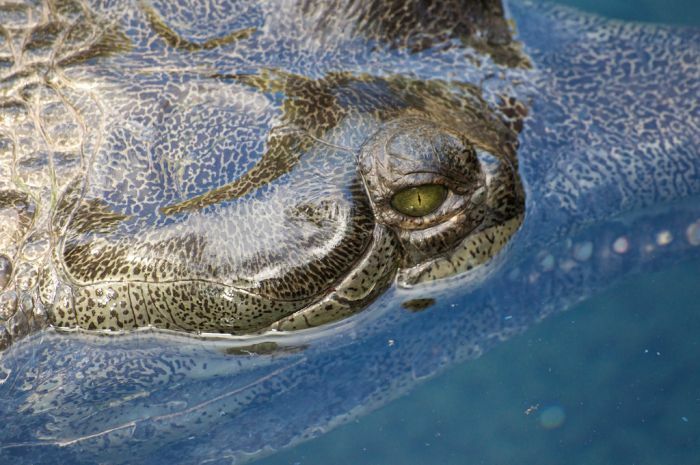 Unlike most crocodilians, the gharial is not a man-eater and tends to be very sensitive when intimidated by humans. 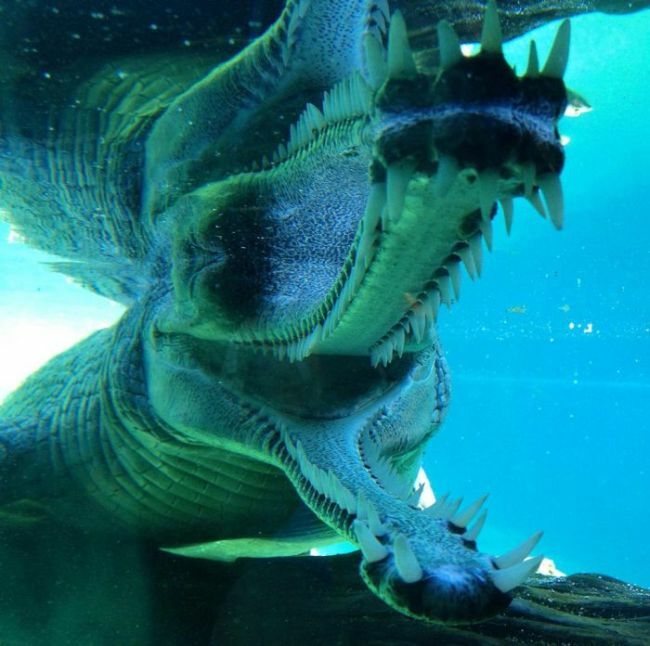 Despite its immense size, its thin and fragile jaws render it physically incapable of consuming a large animal, especially a human being. 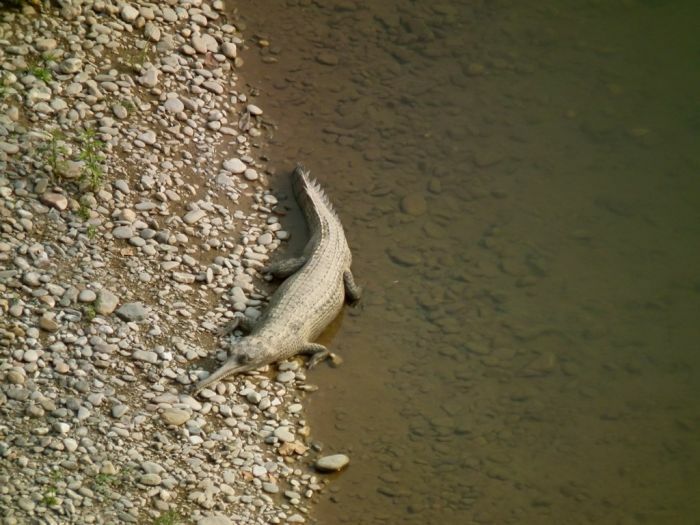 Looks Silly but must work well because they still are around,.,. 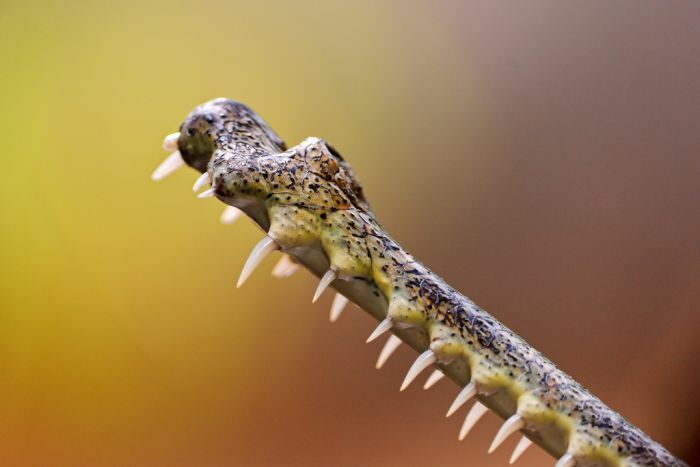 Won't press my luck with this violin jaw.